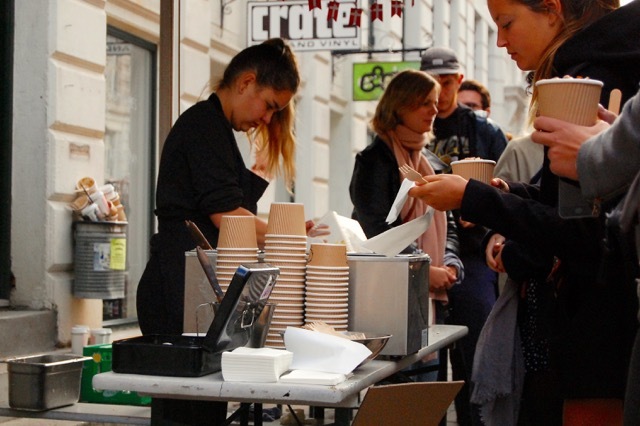 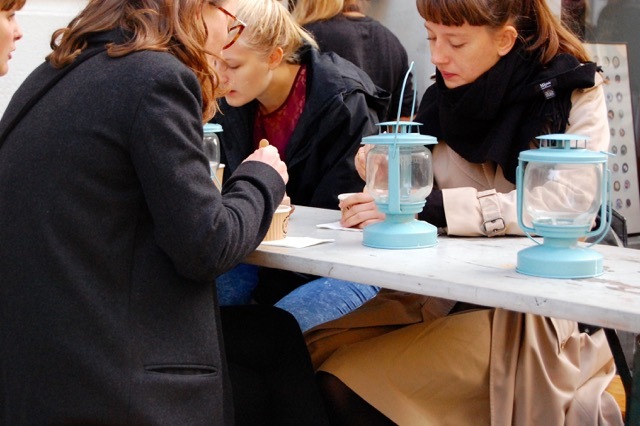 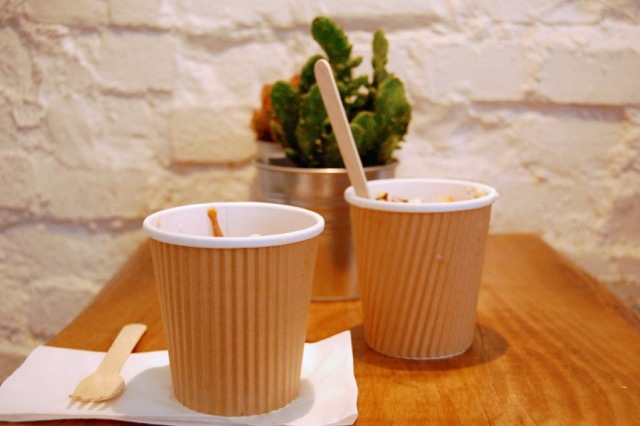 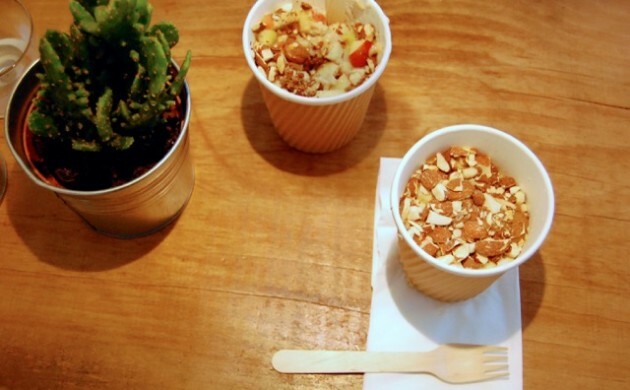 Grød celebrated its fourth anniversary in late September by giving away delicious warm porridge with ‘dulce de leche’, apples and almonds for only 4 kroner. 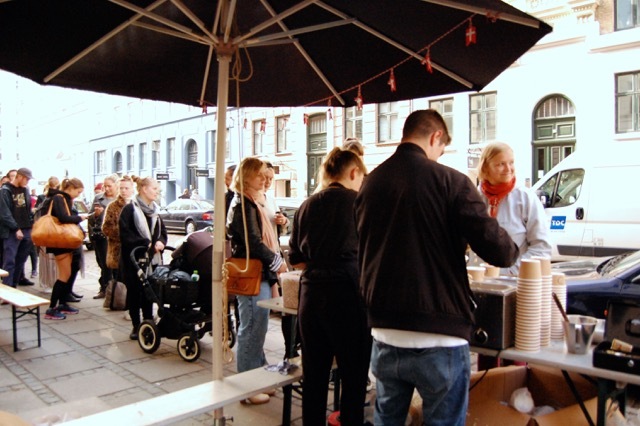 People started queuing from 6.30 in the morning (second left) to get their breakfast before going to work, but given that they all knew how good it was going to be, there were no complaints (well maybe the guy in the red hat!) about getting up early! 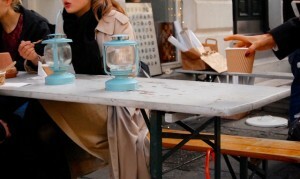 The celebration lasted till 10 in the morning and around 800 to 1,000 porridge portions were served, confirmed by owner Lasse Andersen. “We did it last year and we decided to repeat it with more volume this time. It’s a great way to celebrate our birthday with our followers”, said Andersen. 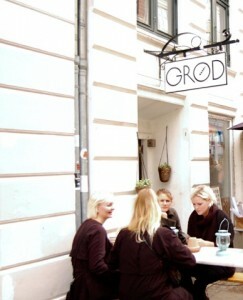 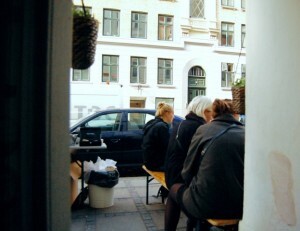 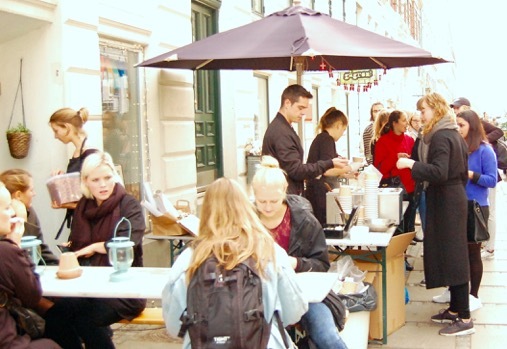 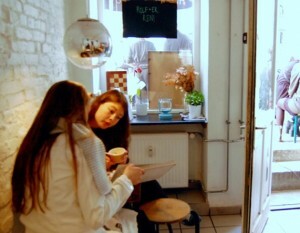 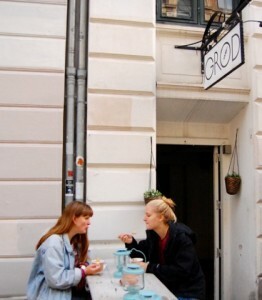 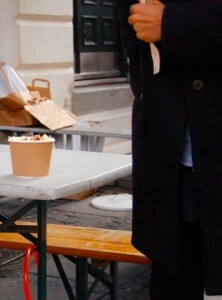 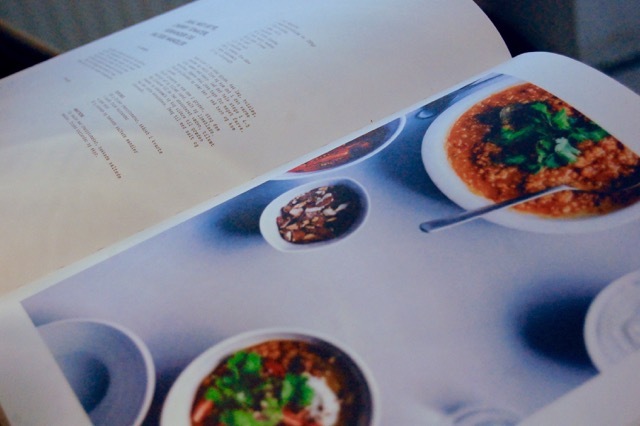 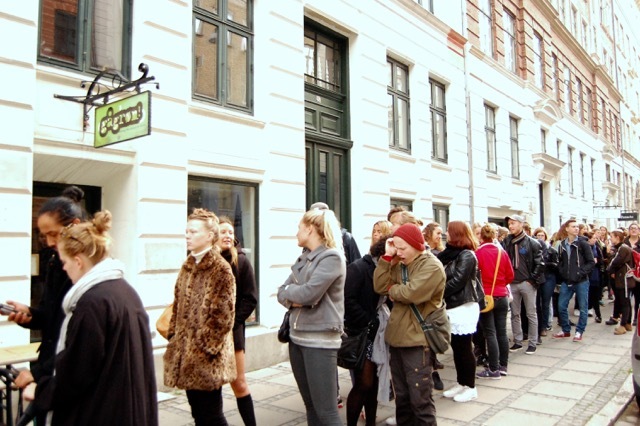 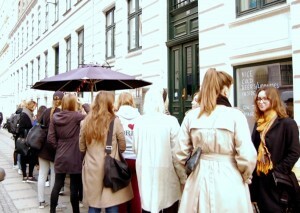 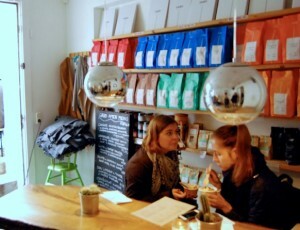 Andersen and his team started Grød back in 2011 in a small basement on Jægersborggade in the Nørrebro neighbourhood, where the event took place. Their popularity hasn’t stopped growing since – because, of course, they are to die for!